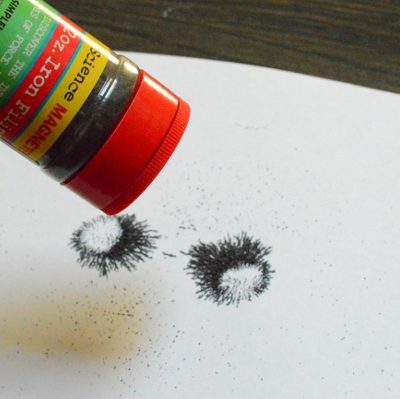 Here is a simple magic to impress your toddler or preschooler. 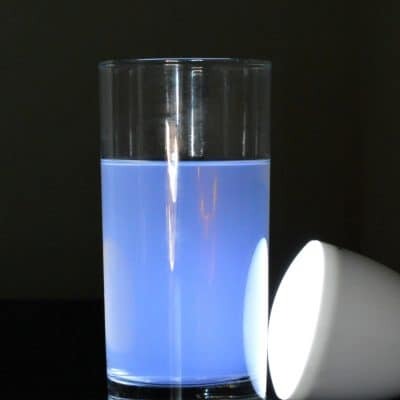 It makes use of the optical property of water and air. Put a penny into an empty glass. Position your head so that you see the coin from the side of the glass (not from above). 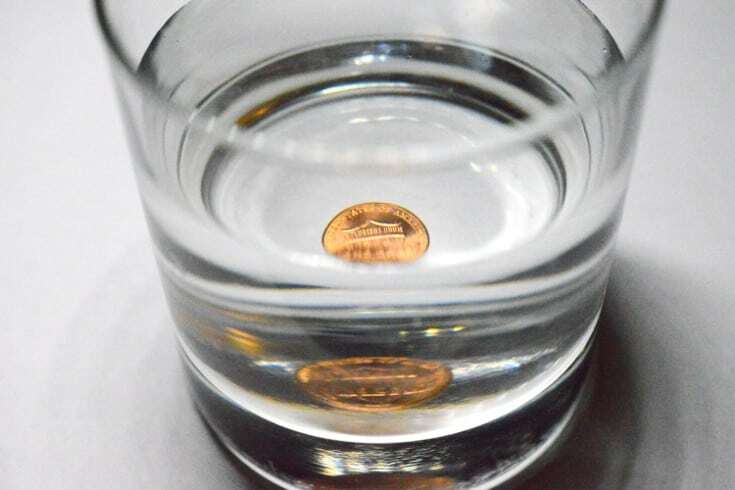 Slowly pour water into the glass until you see a second coin appear on the other side of the glass when you see from above. Move your head up and down and see how one penny becomes two and vice versa. 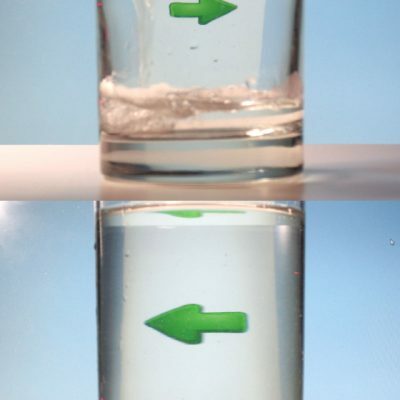 Light bends when it passes from one medium (water) into another medium of a different density (air). 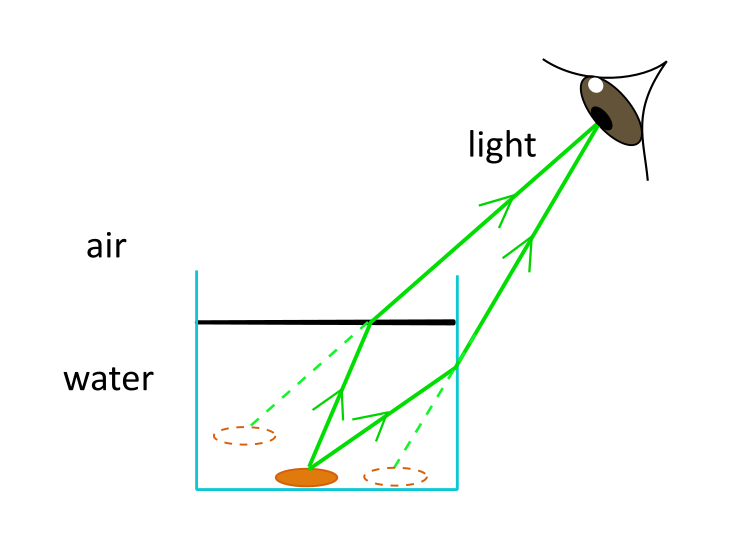 This bending of light, called refraction, causes the apparent position of the coin to change to a shallower position (see diagram). The light bends when it passes from water to air on top of the water. 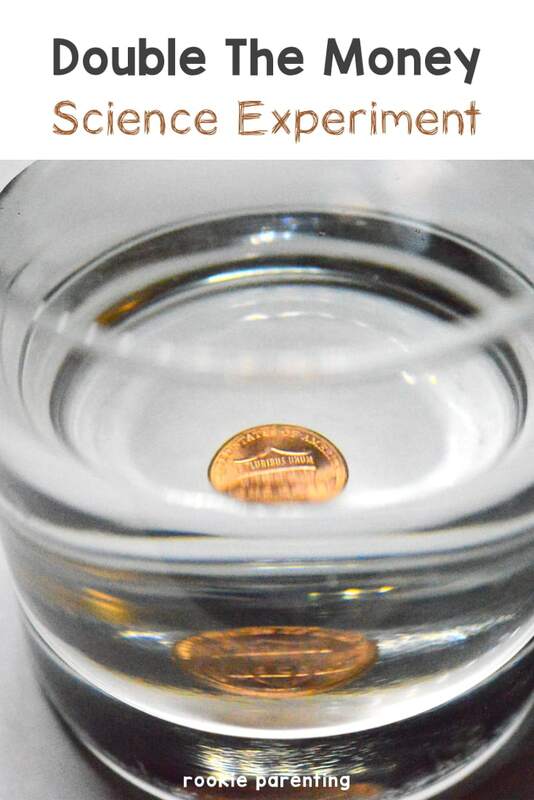 It does the same thing when it passes through the glass, making the coin appear to be closer to you. 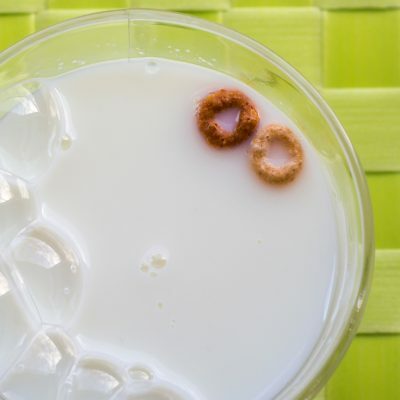 As a result, you see two images of the coin.